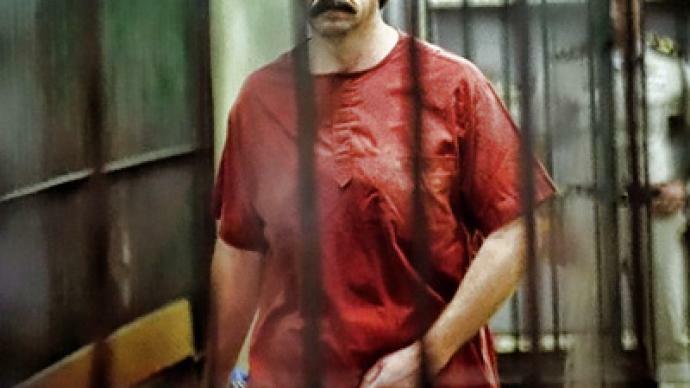 Alleged arms trafficker Viktor Bout, labeled the “Merchant of Death” by the US media, is in US custody and being held without bail. After months of political pressure from Washington, the Thai government agreed to extradite the Russian businessman to the US. In public statements, the prosecution has labeled Bout a notorious international arms trafficker, prior to presenting evidence in court. They claim no international or United States law was violated in extraditing Bout. He is accused of attempting to sell an arsenal of weapons to undercover US law enforcement agents posing as members of Colombia’s FARC militant group. The agents secretly recorded meetings with Bout where he allegedly indicated assisting in the transfer of weapons to target Americans. The Prosecution said he was smuggling arsenals that would be envied by a small country. If convicted, Bout could face 25 years to life behind bars. The US media, meanwhile, has been quick to butcher Bout, coming up with countless nicknames and spinning the story in favor of US officials. Pending the trial, Bout is being kept at a correctional facility with over 800 other inmates. Some experts have suggested psychological pressure will most likely be exerted by keeping Bout in solitary confinement, while most of the cells in the prison are occupied by two inmates each. Bout is being held where Ponzi schemer Bernard Madoff and the Times Square bomber are also being held. Military defense lawyer Eric Montalvo said it is hard to imagine that public opinion has not already accused or found Bout guilty due to heightened media attention on the story, making it challenging for a fair and unbiased trial to take place. However, there is a way a solid defense can work. Montalvo explained that through facts and proper legal investigations defense attorneys must prove a case and show that government investigators were wrong or overzealous. Many have called the case an example of entrapment. “This could be construed; I don’t know all of the facts and circumstances undergone in the sting operation, but it may bear out that it was an entrapment,” said Montalvo. Bout’s lawyer in Thailand has said he plans to sue Thai courts because the Russian embassy and Bout’s wife were not made aware of the extradition. However, that will likely have little impact on proceedings in the US. “That’s more of a political concern as opposed to a legal concern,” he said. The swiftness of the Bout extradition came about when the US learned he was nearing his release, the US needed the extradition quickly or they would likely lose out on trying him in the a US court.